Edward Tussle: UCAS National SIN. Reverend Jim Wang: R2 Fake SIN. Edward “Bug” Tussle got his start as an adventurer after his family, as well as his beloved dog, were killed by Insect cultists of the Universal Brotherhood in the 2050’s. He became a bug hunter, summoning beast spirits in dog form to help him track and kill them. He gained a close affinity to Dog, and tries to follow their advice. After a while, his exploits got him noticed by some prominent individuals, and with the bug threat dying down a bit he needed some new income. 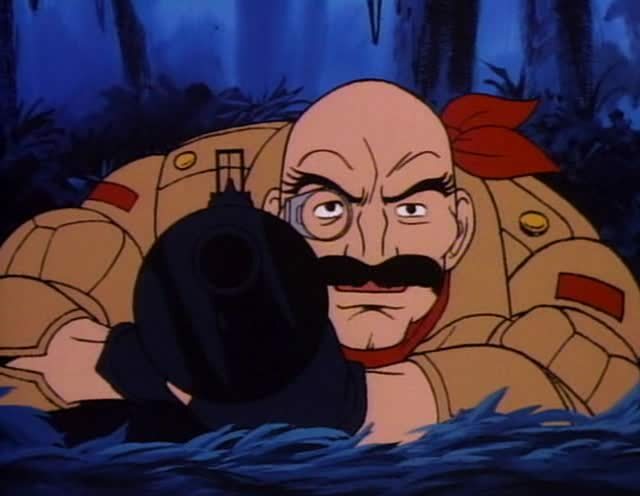 He began escorting wealthy individuals on “bug safaris” to “safely” hunt and kill bug spirits and/or maggot cultists. Some of these trips were filmed for a reality trid show which was somewhat popular amongst a certain subset, when tragedy struck again. Due to Bug’s decade’s-long vendetta against the bugs, he often had a hard time giving up pursuit, and he followed some fleeing bugs right into an ambush. With some wealthy clients and a camera crew in tow. Streaming live on the matrix. Before his agent and the media company sponsoring it could cut the feed, the deaths of everyone else in his party were vividly broadcast out to the world. Once again the only survivor of a bug massacre, and newly disgraced, Bug has turned to shadowrunning to make some much needed cash and recover from the recent settlements and lawsuits. He’s hoping that the degradations of age that he is beginning to feel can be compensated for by his wealth of knowledge, and is hoping to find a good crew to settle in with, where he can put his expertise to good use.